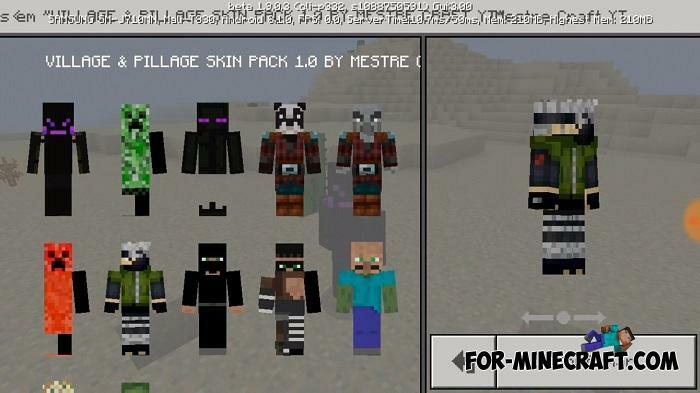 12 completely different skins are included in the Village & Pillage Skin Pack. 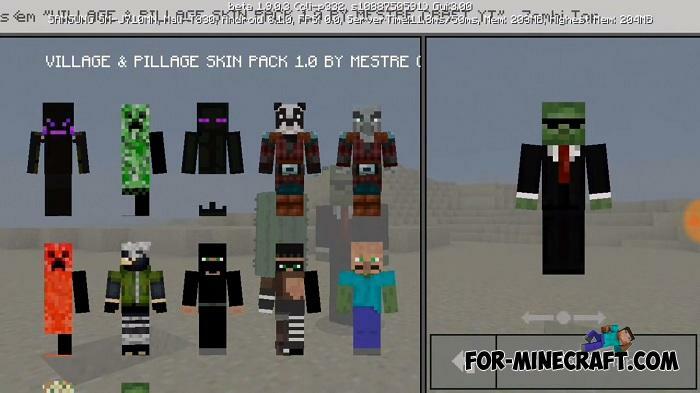 Despite the name, only half of it refers to today's update that globally transforms villages and villagers. 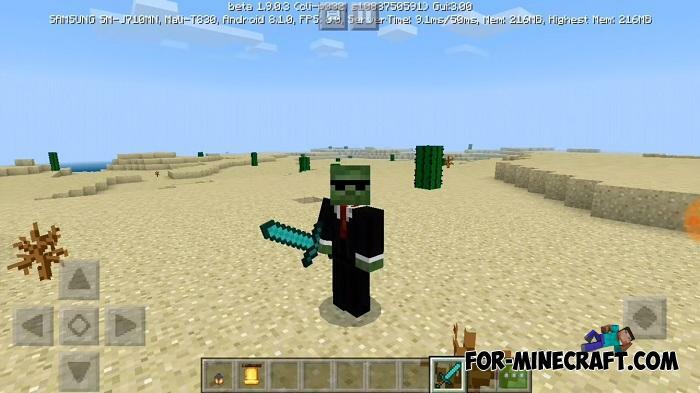 If you have not heard of it and would like to download the first beta versions, go here - Download Minecraft PE 1.9.0.3 and update your Minecraft PE to the latest version.